With 28 years of experience, there is no problem too big for Attorney Misevich to serve her clients. 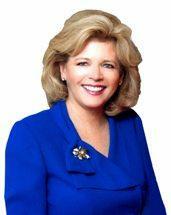 She has helped hundreds of individuals, couples and families with their challenging legal matters, including divorce. Allyson and her experienced staff know that family law matters are often confusing and emotional. At our firm, we try to keep things in a positive light, provide the support our clients need and represent their best interests inside and outside of family court. Schedule a free initial consultation by calling us today. 8:30 a.m. through 5:00 p.m. Daily.